Commercial flooring can set the mood for your business. It can create an environment that both employees and clients are comfortable in. The choice depends on many factors such as your budget, foot traffic, and maintenance. Popular commercial flooring includes carpet, vinyl, and wood flooring. When making a choice, you must consider what will work best for your business. There are two main reasons to choose vinyl flooring, style, and affordability. Companies that experience high foot traffic tend to install vinyl flooring, such as retail shops. It is highly durable and resistant to scratches and dents. What it comes is a variety of styles and color. For instance, if you cannot afford hardwood or granite flooring in your building, you can find vinyl flooring that imitates the look. Have you ever walked into a business and thought, “Wow, it is loud in here!” and the reason is the flooring. Carpet is ideal for businesses, such as an office, that need noise insulation. Whether it is to reduce the noise caused by constant phone chatter or the clicking of heels on the floor. Just because it is carpet does not mean your space has to look drab. Carpeting now comes in a wide variety of colors and styles to suit your interior design. Classic and extremely durable are the two thoughts that come to mind when one thinks about wood flooring. It never goes out of style and will elevate the look of space just by being installed. If you want a lush look in your hotels or restaurant, look to wood flooring. When choosing your wood floor, keep in mind that moisture can ruin the look. Choose a pre-finished floor to help with maintenance. To reiterate, keep in mind that each flooring will have its own advantages and disadvantages for your business. If cared for properly will last your business years. For assistance and a great deal in the Aurora area, look to Denver Carpet and Hardwood LLC for all of your needs. For more information, please peruse our site or contact us at (303)667-0085. All year homeowners talk about how they want to renovate their home. Another year has passed and for many, their home looks the same. Some owners feel as if they should completely gut their home in order to make changes but that simply is not true. Sometimes something as simple as replacing the flooring can give your space an instant boost. Here are a few ways you can incorporate flooring in your home for a unique look. Simply laying one type of flooring is not your only option. Here is a list of ways to incorporate flooring in your home that is simply inspired. • Mixing Different Types of Wood– Using only one type of wood is classic but if you want to make a statement, use a mixture of wood. 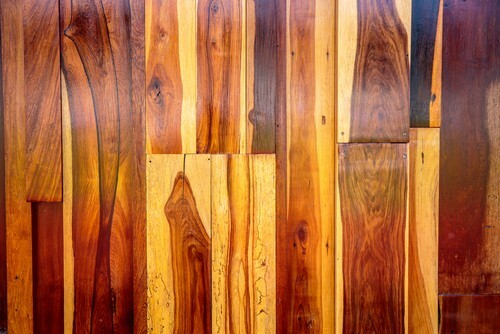 Use wood with similar tones or that come from the species but vary in shade. This works especially well in larger homes as the floor makes a bigger impact. • Incorporate Flooring on the Walls– Just because the norm is using certain materials for flooring does not mean you have to play by those rules. Use hardwood flooring as your baseboard or molding to give your home a different look. Or go for a cabin feel by going hardwood floor to ceiling. Tile flooring also makes for a great backsplash in your kitchen and works well in bathroom walls as well. • Unique Materials– Bamboo and cork flooring are two types that are not often used in one’s home. They are on the rise and are especially gorgeous and extremely durable. Cork flooring is great to use in high traffic areas like the entryway of your home and the kitchen since it is not susceptible to damage. 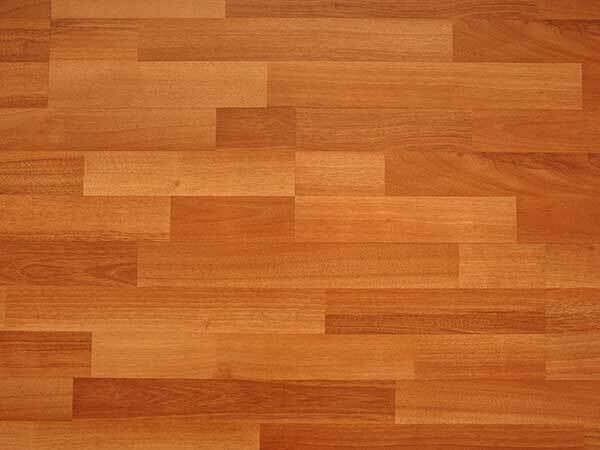 Bamboo is a great alternative to hardwood flooring if you are looking to make an environmentally friendly choice. This is because bamboo is not fully chopped down which means it will continue to grow after being harvested for your flooring. Do not put off the renovations on your home any longer as they are not frivolous but an investment to your property. At Denver Carpet and Hardwood, we provide a myriad of high-quality flooring at affordable prices. For more information, peruse our site or contact us at (303)667-0085 for a free home estimate. Winter is here and so is the chill that comes with it. Your home is the respite from the constant cold you find outdoors. What are you to do when the cold has invaded your home? There are many factors that affect the temperature of your home and let in the freezing temperature. That does not mean you should simply sit by and let your home turn into an igloo. Here are a few solutions that will keep your home comfortably warm this winter. The outside weather can easily enter your home through improperly seal windows and doors. These cracks allow warm air to escape which makes your heating system work harder than it needs to. Simply seal your windows and doors to keep out the cold. If your heating system is still not heating your home as it should then that is a sign of a problem. Have your HVAC system inspected to ensure dirt and debris are not inhibiting airflow. Make sure to have it serviced twice a year to ensure it runs smoothly. Your flooring can also be a contributing factor to a cold home. A subfloor is needed when installing any kind of flooring. It acts as another form of insulation as well as being a supportive structure. If you do not have the subfloor then you run the risk of letting in air from the floor into your home. While you switch your thinner blankets for thicker ones during the winter, be sure to switch out your window fixtures as well. Heavier curtains conserve the warmth by preventing the warm air from escaping through the cold glass. If your toes are still hesitant to touch the hardwood floors first thing in the morning, compromise by installing carpet in your home. Carpet will keep your feet toasty warm without the need for socks or slippers. If you are looking to make the switch, Denver Carpet and Hardwood LLC has a wide variety of gorgeous carpet for you to choose from. For additional information about our carpet or installation services, peruse our site. 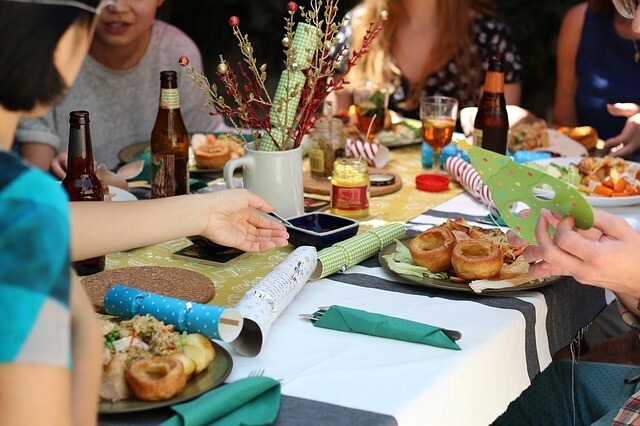 Every host knows that planning and executing a holiday party can take its toll on your person and your home. Cold weather means rain and snow and a party means heavier foot traffic in your home. The combination of those two equals to your floor taking a beating this holiday season. Here are tips to prevent your carpet from becoming stained beyond recognition. Before your guests arrive and track in all the elements found in the great outdoors, lay down mats in the outside of and inside the entryway. This will encourage guests to wipe their feet before they enter your home and even if they do not, the mats will pick up most of the debris. Any good holiday party will have plenty of food being served and drinks being poured. There are bound to be food dropped and drinks spilled and to avoid staining, they must be treated as soon as possible. Be sure to pick up all food before it is embedded into the carpet from a guest stepping on it. Identify the liquid that spilled and treat it accordingly, if you do not have cleaner on-hand, treat with club soda in the meantime. Try to steer guests away from areas in your home with carpet by subconsciously sending them in another area. You set up the food in an area in your home that does not have carpet but contains the food and plenty of seating. Or you can have a more formal sit-down dinner so your guests are not carrying food and drink around. Once the party is over, be sure to vacuum your carpet to ensure you have picked up all items that could stain your carpet. Keep in mind the more thorough job you do will remove all debris that can become lodged deep in your carpet and bring up stains later. Carpeting quality has increased over time to make it easier for homeowners to maintain a clean household. At Denver Carpet and Hardwood LLC, we install Stainmaster carpet flooring which is great for any home. It is stain resistant due to every fiber being covered in Fiber Shield so you never have to worry spills at any of your holiday parties. Be prepared this season by having it installed today! For a free estimate, contact us at (303)667-0085. A home with hardwood floors creates a sense of warmth and ease. Maintaining their beauty, however, should be taken into consideration before purchasing and after installing. Although it may be routine to simply take out a mop and bucket of water to do the job, there are different ways to preserve the appearance of your floors. Depending on the type of flooring, each one may have a different finish as well. By taking the time and effort to maintain your floors, their newly installed appearance will last and continue to beautify your space. First, one must determine the type of finish their floors have. 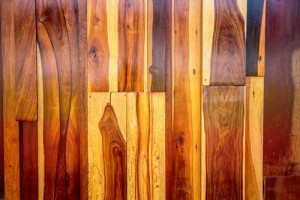 By asking the installer, you’ll be able to obtain this information and know how to properly treat your hardwood home. If you are not sure the type of finish, simply call a local hardwood flooring company so that they can determine the finish. Today, most floors are finished with polyurethane and polyacrylic. 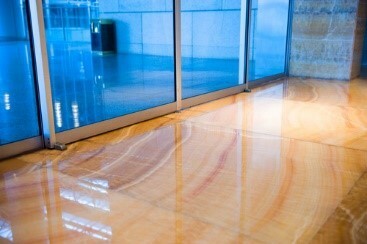 These surface-sealed floors are easy to clean and save a lot of time. By having stain and water resistant floors, your cleanup is simply a sweep and mop. Although these sealed floors are very durable, it is still important to treat them the right way in order to preserve their original look. Along with surface sealed floors, there are also stains that penetrate through the wood, giving a different finish. If the stain has done such, you probably have a soft oil finish. These floors tend to appear more in older homes that have been restored and refinished. In order to care for these floors, one must first identify the area that needs cleaning and the cause of the stain. If you are dealing with an oil based stain on a soft oil finish, dishwasher detergent is your new best friend. Gently rub the area with a soft cloth and detergent and rinse with clean water. However, if you are attempting to remove pet stains and dark spots, your approach will be different. Rubbing the spot with steel wool and floor wax is the most effective way to clean the area. Treatments that penetrate sealed floors and oil stains need to be approached with the utmost care. Some finishes don’t require as much care as others, however it is crucial to do the research in order to prevent any damage. By maintaining your hardwood floors, you are sure to be welcome home by fantastic looking floors and beautiful spaces. Here at Denver Carpet and Hardwood, we provide you with all the care you will need to fully enjoy your new flooring. We are located in the Americenter parking lot, right behind Building 9725.